Sitting around a table with family at Thanksgiving can lead to many different topics of conversation! 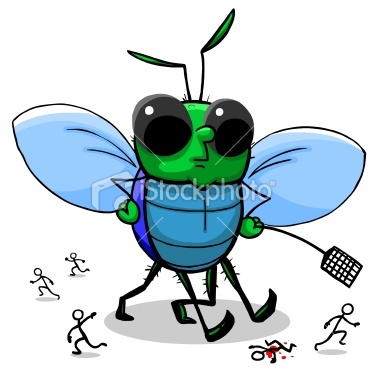 I also found out why fly swatters have holes… If you try hitting a fly with a rolled-up newspaper, or something without tiny holes, air doesn’t pass through it and the fly can feel the air current change — securely buzzing out of the way! The holes reduce air resistance so you can swing faster, and it doesn’t press a current towards the fly, so he can’t feel it coming… WHAP! Did you learn any interesting facts this thanksgiving? !